This article will describe my experience repairing a Peavey DPM3 SE keyboard in mid-2018. This keyboard is an early example of a digital synthesizer using DSP-chip-based synthesis—its sound generation and processing is basically "all software" and thus potentially modifiable (e.g. for different methods of synthesis), so Peavey marketed it as obsolescence-proof. This unfortunately turned out to be false, since Peavey quickly stopped making software for it after a few years, and they no longer repair them due to lack of parts. They also designed it with a poorly-placed battery that tends to leak and cause damage, as you will see. 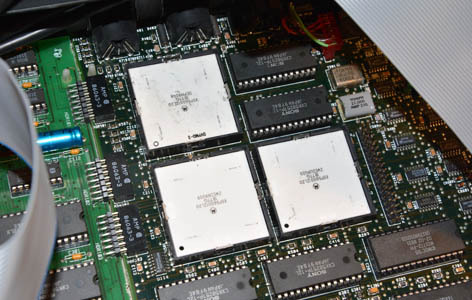 The DPM3 SE was introduced in 1991, and although many of its default patches are pure cheese emblematic of its time, it remains a relatively versatile instrument to this day thanks to its programmability... that is, as long as it works. This article will describe solutions to multiple problems never discussed before online, so I hope it assists in the repair of more of these instruments. This was a relatively extensive job, covering many probable failures. Note that I don't intend to provide an overview of the instrument's functionality or history, but I have included some sources of this info in the Links section. It looks much better; although some pads and traces are tarnished, nothing seems to have been really damaged. Yet, the instrument was still dead after cleaning, just like the first one. This time, however, I found and downloaded the schematics (look on this page), and really got into it. When something is as functionally dead as this thing was, the first thing to check is the power supply. Sure enough, multiple problems were evident. This is the power supply board, which gives three each of regulated and unregulated voltages, and has a nice spacious through-hole single-sided design. 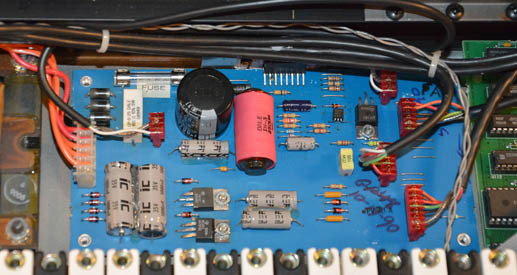 The first issue was that the 1A fuse in the upper left was blown; this fuse sits between the upper bridge rectifier circuit and the input to the L296P switching regulator chip, mounted to the big heatsink under the wires (using a metal clip that was removed prior to the above photo). This chip is very important, outputting the +5V regulated supply, so of course, if the fuse is blown, the +5V rail would be dead, and nothing would work since the digital circuitry is powered by the +5V rail. Replacing the fuse, however, didn't change anything. 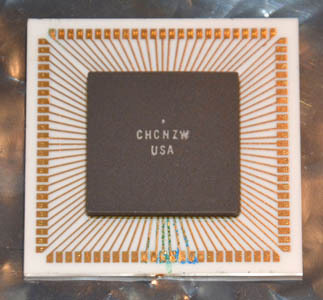 The output of the L296P chip still measured nil, at -0.04V. You might guess that the fuse blew again, but it didn't. So, after a few checks of the surrounding components, the L296P was determined to be at fault. 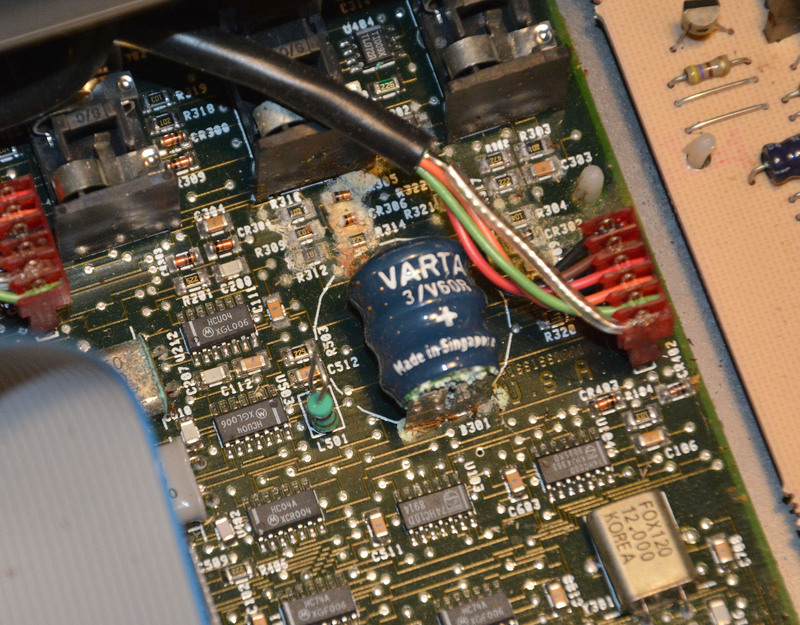 It even had a small burn-mark on pin 3, perhaps where a previous tech had shorted it to something! 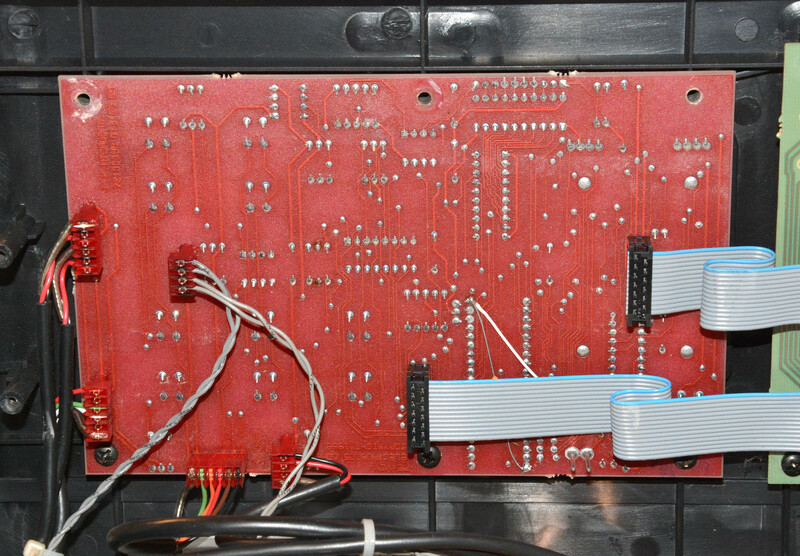 (It would explain the blown fuse, since pin 3 is the chip's input directly following the fuse.) 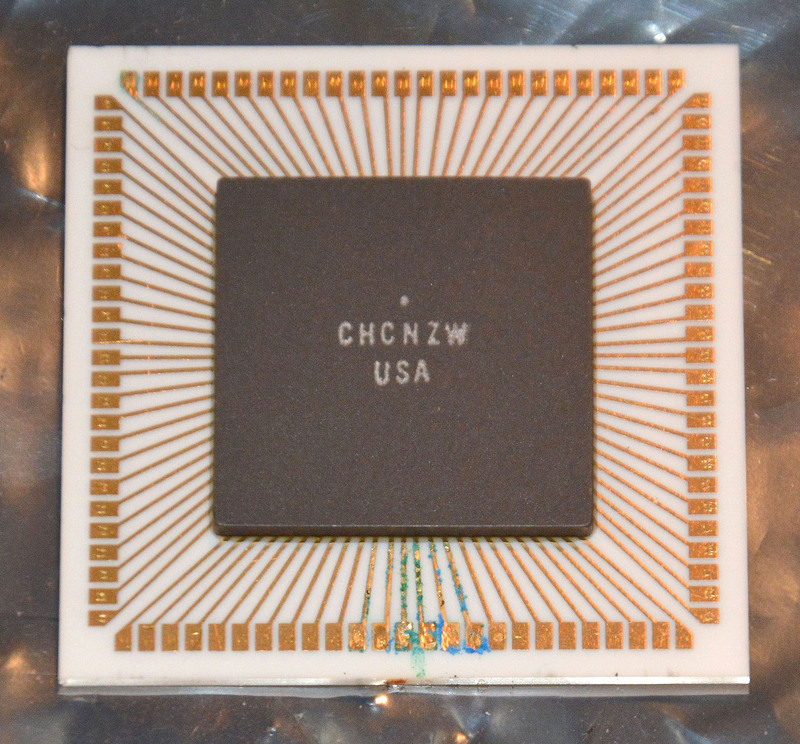 In any case, the chip is still in production as of August 2018, and thus available from reputable sources such as Digi-Key, but I didn't want to place an order just for the chip (since shipping is flat up to an order of $100), so I searched on eBay and found a French seller with a good price including shipping. The listing can be found here, as long as it hasn't expired yet. The chip arrived in less than two weeks, well-packed and genuine. Note that whenever possible, I avoid the numerous eBay sellers located in any part of China, including the People's Republic, Republic of, and Hong Kong. This is mostly because shipping to Canada tends to take over two months, by the usual "free" economy service. As well, Chinese sellers in particular are known for a high proportion of fakes and duds: counterfeits, rejects, pulls (sold as new), and so on. I have received counterfeit and defective parts from Chinese sellers, whereas I've never received counterfeits from elsewhere, and all of the defective new parts I've received from non-Chinese sellers originated in China. They are also cheap and sloppy in their packaging, resulting in damage such as broken pins, and my favorite, broken LCD screens. The seller that packed an LCD so badly it arrived cracked has apparently re-sent it twice now, yet nothing has shown up in over five months! After multiple incidents like this, I no longer trust them. Make note of where the connectors go before removing the power supply board, and be careful reinstalling them, since they can easily be connected wrong. Ensure that you apply new heat transfer compound, thoroughly cleaning off the old paste. There is a spacer that should insulate the metal tab of the L296P from the heatsink. Note that the L296P will not give 5V at the output unless the processor board is connected. Once the L296P was replaced, the keyboard booted properly. It was a glorious moment, since I wasn't sure if it would boot without battery voltage, and I didn't want to buy a new battery before ensuring it was otherwise functional. Note that without the battery, all of the patch data was corrupted, showing gibberish names, and producing no sound when playing the keyboard. But, with such encouraging signs, I ordered a new 3/V80H battery from a Canadian seller here. The 3/V80H is a fine subsitute for the original 3/V60R as long as it is has the same 3-pin footprint—don't buy the 2-pin version. Installing it was a pain, since removing the processor board is difficult. 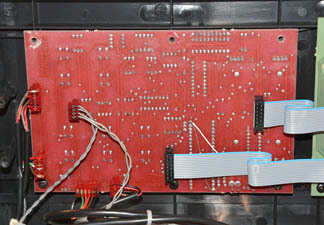 You have to remove the entire keyboard by means of 12 screws on the bottom, then disconnect 6 connectors, remove the four screws holding the jack panel to the back, and then pop every nylon clip in order to lift out both the processor and memory boards. 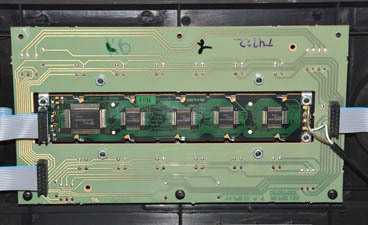 You can see these boards below, which are joined by three headers. 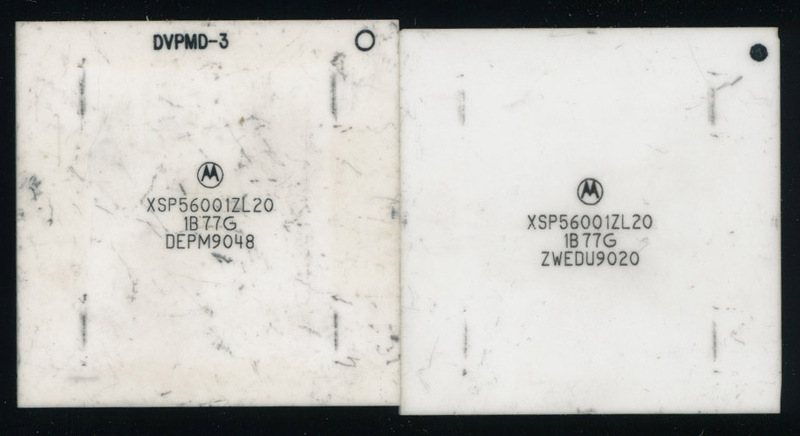 Note that the operating system ROMs have DPM3 SE+ firmware—in fact, the sticker on the bottom with the serial # calls the unit an SE+, even though the top panel shows plain SE. I suppose it ought to really be called an SE+. Interestingly, the solder joints holding the leaky battery were bulbous and flux-covered, suggesting that the battery had already been replaced before! I think the lesson here is to keep your battery charged by playing the keyboard often! Batteries are most likely to leak when they're dead, and the battery only charges when the keyboard is powered, so keep that in mind. Note also that if the battery hasn't leaked too badly, it may be possible to desolder from the top side, but in my case, the corrosion on the pins was too severe to be able to do this. Make sure to use ESD protection and general care when handling these boards, which hold extremely rare chips. Once the battery was replaced, I had to re-load the original data for "programs" (i.e. patches), effects, and sequences onto the instrument, since this data is not stored in ROM. Peavey still hosts all of the files here under the DPM 3 heading. Once downloaded, they must be transferred to a 720KB / Double Density 3.5" floppy disk. This can be difficult today, since not all USB floppy drives are able to use 720K disks, and such disks are rare. A solution to the latter problem is that, as long as you have a suitable drive, you can tape over the bottom-right hole and re-format a 1.44M disk as 720K if you don't have a proper 720K disk. For me though, I ended up putting the data onto a 100MB Zip disk via a drive with USB, then bringing out my Power Macintosh G3 and using it to write from the Zip to a 720K floppy. The area of severe blue-green corrosion was nearest to the battery, by the gap in the socket's plastic for the edge clip. Damn you, corrosive vapor! 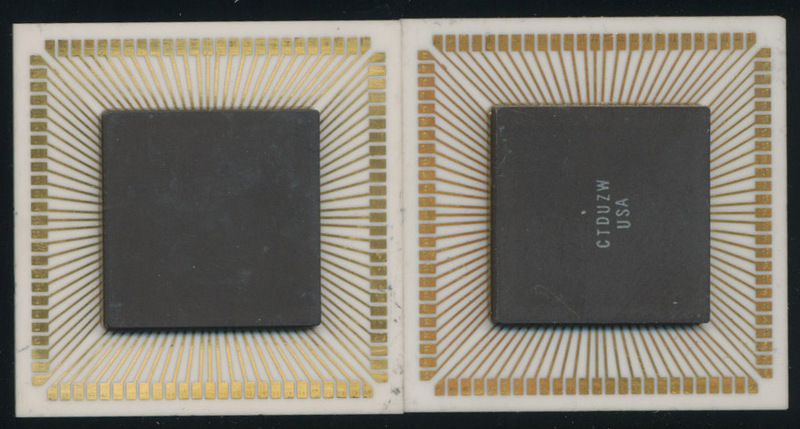 It's a miracle that this chip passed the FxRAM test all but once! However, the corrosion had eaten under the traces, and so parts of them flaked off when I tried cleaning, truly ruining the chip. 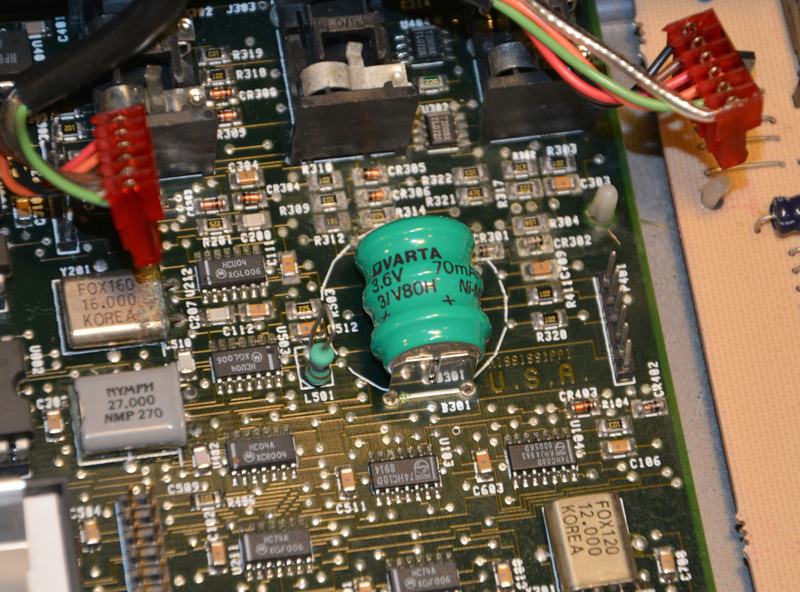 Checking the others, the DSP1 was fine, as expected, but the DSP2 had one corroded trace that measured 379 ohms. I tried to bridge it with an extremely thin jumper wire, but it then behaved even worse in the WvMem test, probably because the thickness of the wire was causing connectivity problems in the socket. Even if it worked, I wouldn't trust it as a long-term fix. Maybe in the future I could try a conductive pen. This would be the point where most technicians would really give up, and I must admit, I came close to doing so. The XSP56001ZL20 is very scarce at this point, having been out of production since the early 90s as far as I can tell. I found only one eBay vendor, pricing at about $50 CAD per chip, plus $50 shipping—what a joke! I then searched other websites, but found that many of the companies claiming to have the chip did not list prices (instead using the quote request system), and in fact, many looked to be fraudulent, with fake addresses and unbelievably large amounts of stock. I found two that upon further investigation appear to be front organizations, possibly for organized crime in New York, no joke—email if you want more details. Thorough internal and external cleaning, including removal of significant amounts of battery corrosion (using isopropyl alcohol, contact cleaner, and vinegar). Replaced the internal 1A slow-blow fuse for the 5V supply, which was blown. Replaced the L296P switching regulator chip for the 5V supply, which was dead. Replaced the 3/V60R battery with a new 3/V80H part (slightly higher capacity, same footprint). Transferred the factory programs, effects, and sequences via a 720k floppy disk. 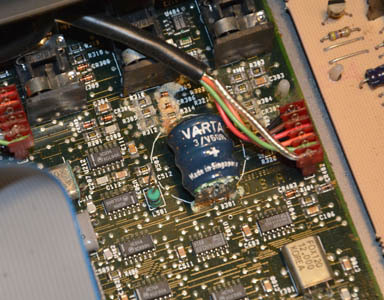 Replaced the DSP2 and Effects DSP chips (both XSP56001ZL20), since both had corroded-through traces from the battery leakage vapor. Cleaned the contact of the lowest key with isopropyl alcohol, since it was not playing at first. All in all, it took 8 hours and 12 minutes of labour, and $72.26 CAD in parts. Was it worth it? I think so, though its worth will still have to be proven with use. Although I prefer analog keyboards, this one has a unique enough character that I consider it worth saving, especially becasue of its versatility in patch editing. In any case, I always enjoy these long repairs which involve plenty of thought. 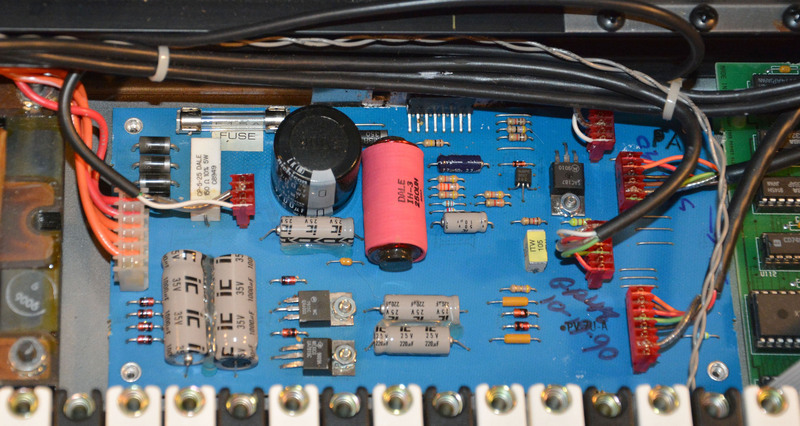 Some long repairs are only such because you have to replace many parts that you already know are bad or unreliable, such as wax paper capacitors. Not this one — I only replaced parts that were certainly bad, and it still took a lot! I hope this article has been interesting, and that it will help others in repairing such instruments. Of course, if you have a broken DPM3 SE or similar that you don't want to repair yourself, I can try to repair it for you; see the Repairs page for more details. There have been two noteworthy developments since first publishing this article. 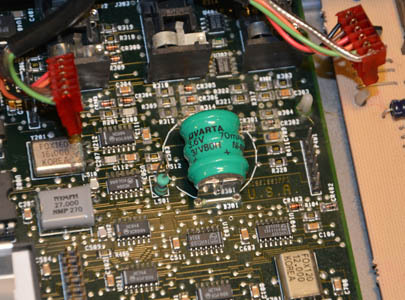 Firstly, John Culver of the CPU Shack Museum (from whom I got the replacement DSP chips) has published his own article called Peavey and the Motorola DSP56000, which explains some background of the 56000 series chips, and refers to my DPM3 SE repair. One especially interesting fact mentioned is that Peavey influenced Motorola's design of the 56000 series from the start. I couldn't find any other online reference to this, so I asked John where he learned it; the source is the book The Peavey Revolution by Ken Achard. The internet does not know everything! Secondly, after only a few hours of playing this keyboard, the middle-right "soft" button above the screen completely stopped working. These plastic buttons depress PCB-mounted tactile switches, and I noticed earlier that some of these switches were not working perfectly, but I left them in place, since they were still usable. However, with the complete failure of one, I decided to replace four of them: two that were electrically faulty (including the failed one), and two that were mechanically faulty (not giving the proper click response). I am not a big fan of tactile switches, because they often fail prematurely, and never improve with contact cleaner once they lose electrical contact. They can also lose their click, and sometimes both click and contact. At least they are plentiful and standardized, so I swapped the faulty ones with my usual replacement type: Digi-Key part number SW402-ND, which is Omron part B3F-1020. Omron is a reputable Japanese manufacturer, and the switch is rated for 1,000,000 cycles—the most durable I've found. It is the correct 6 x 6mm footprint, and 5mm height off the board. The operating force of 100gf is not critical, though it does feel slightly weaker than the originals. However, if you look at the other members of the B3F series (B3F-1022, 1025, and 1026), the rated durability decreases dramatically with increasing operating force—the B3F-1026, with operating force of 500gf, is rated for a mere 50,000 cycles. The next step from the B3F-1020, the 1022 with 150gf operating force, has a life of only 300,000 cycles. So, I think it's a good compromise. I've also used the SW402-ND to replace a faulty tactile switch in a Roland Juno-106, in which it felt indistinguishable from the originals. Replacing the switches gave me a chance to clean the display, on which dust had settled. As well, I took a few pictures of the top boards, which may help as reference to someone. Notice that the boards all have different substrate materials and solder mask styles, and the middle board is single-sided while the others are double-sided—I have no idea why the boards are so inconsistent overall, but it does make things more interesting. Also notice that the display assembly is a 40x2 character type using the HD44780 controller chip, which is still standard to this day. This should make it easy to replace if it ever fails, though finding a green-on-black version may be tough. A final note: I also noticed that the floppy drive was loose on the left side. This was caused by missing mounting screws on the bottom of the drive, which hold it to a 90-degree mounting bracket. I put in some new screws (M2.5 thread), and finally, it was back to making music! eBay page for the L296P chip that I bought — From a seller in France. Will become useless at some point. eBay page for the 3/V80H battery that I bought — From a seller in Canada. Will become useless at some point. Peavey DPM Series Software — Get the original program, effect, and sequence data here. 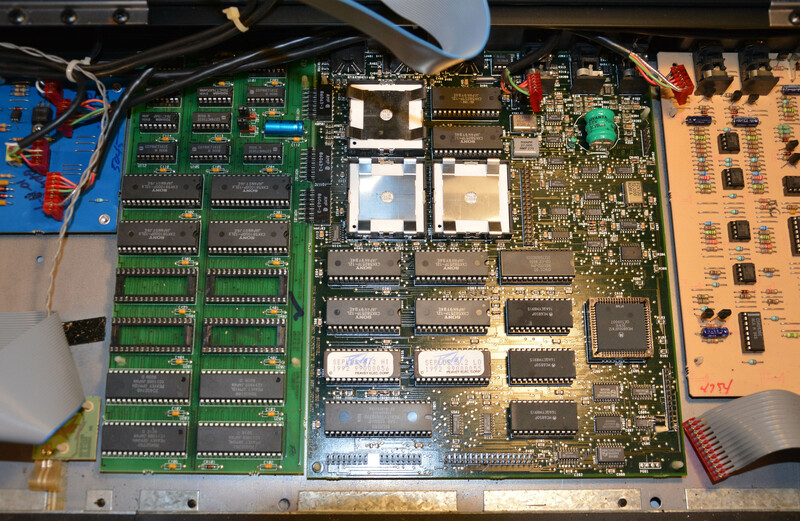 Peavey DPM 3 tech info - Vintage Synth Explorer Forums — Great discussion with links to documentation (including schematics), diagnostics disk, etc. Peavey DPM-V3 Wordpress Site — Site with some good info on the Peavey DPM series. Peavey and the Motorola DSP56000 | The CPU Shack Museum — Great online museum with info about classic processors, EPROMs, and more. Link goes to the article in response of this one. B3F-1020 Omron Electronics Inc-EMC Div | Switches | DigiKey — SW402-ND tactile switch, which is a fine replacement for the originals. If you notice any errors or have additional information that you would like to add, please contact me!